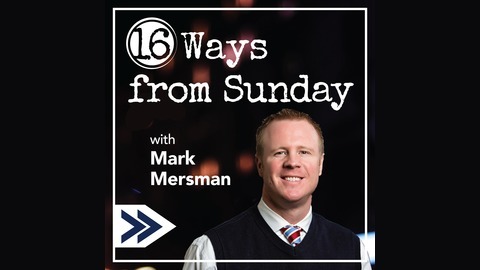 16 Ways From Sunday is a podcast for high-performing financial planning professionals that are committed to improving their craft. Hosted by blogger, marketer, nationally syndicated radio show host and consultant Mark Mersman, this podcast takes a rifle-approach with a focus on financial advisor marketing and business building. Each episode provides actionable marketing ideas and insights, typically delivered through candid interviews with some of the top thought leaders in marketing and/or the financial advice industry. From digital marketing to traditional direct-response marketing, each episode delivers straight-forward and engaging content that any financial professional can use to improve their bottom line and grow their practice. 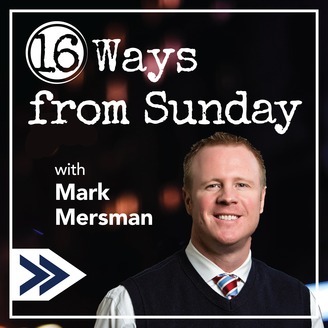 Mark Mersman is committed to exploring the world of marketing from every angle, or as he once put it “16 Ways from Sunday,” proving that you don’t have to be entirely right to accurately get your message across. He’s been featured in Barron’s, The Wall Street Journal, Fox Business, WealthManagement.com, Investopedia, and a number of other industry publications, including being a regular contributor to Investment News and Financial Planning magazine. Hosted By: Mark Mersman – Marketing & Business Building Consultant / Blogger / Nationally Syndicated Radio Show Host. In this episode of 16 Ways from Sunday, Jeff Leppert and Kevin Holt discuss the evolution of their practice and how they executed on a vision to have multiple services under one roof. They detail their strategy behind building a wealth management firm that also marries together a full service insurance agency (property/casualty, health, medicare), tax practice, along with a strategic legal partnership all under one roof. They discuss acquisition, transition, and their commitment to the ultimate client experience.